Race and ethnicity have been a salient theme throughout the history of the field of anthropology, and they continue to be an important part of anthropological research today. While early anthropologists focused on the construction of racial categories and descriptive accounts of different ethnic groups, contemporary anthropologists aim to interrogate the social and historical contexts in which racial and ethnic groupings are created and the ways that those categories generate real effects and experiences for people. In this section, we situate race and ethnicity within the context of identity. 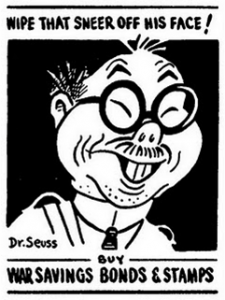 Identity, or a person’s self-conception, is interconnected with social relations because social interaction informs the way people perceive of themselves and others; while at the same time, the ways that people perceive of themselves and others informs their social interaction (Goffman 1959). From a philosophical standpoint, identity is based on the perception of sameness with as well as difference from others. Identity is therefore a process of inclusion as well as exclusion. Identity is inclusive when the identification of similarity establishes affiliations and social alliances between individuals who form a group. Identity is exclusive because those who do not share the similarity are alienated from the affiliations that form the social group. Different identities emerge from different social contexts, and people negotiate several identities as they interact in different social contexts or situations. For example, national identities (nationalities) are based on shared affiliations associated within a state-system, yet gender identities are based on identification with the specific gender norms and expectations. Because of this, people who share the same nationality may not necessarily share the same gender identity. Similarly, a person may share the same racial identity within a social group while at the same time sharing religious affiliations with people outside of the racial identity group. As people interact in different contexts, they shift their identity to accommodate specific circumstances. People can also change their identity throughout the course of their lifetime by shifting from one social group to another such as transitioning to a different gender group, acquiring citizenship to a different country, converting to a different religion, going from ‘single’ to being married, and/or moving from employee to employer (class identity). 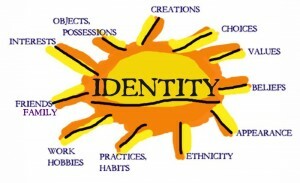 Therefore, identity is not discrete, as in having boundaries, because people not only interact both within and outside of an identity group according to different social contexts but they also move in and out of identity groups according to events and experiences that take place throughout the course of a lifetime. Identity is also indiscrete because it is based on individual perceptions and interpretations. People ascribe different meanings to identity and social groups according to the unique experiences that shape the way they interpret reality and according to the meanings and interpretations that are learned from society. This is important because identity formation and the ways that people perceive others is largely shaped by social norms and values. Although identity formation is based on self-perception, self-perception is influenced by the social organization of a particular society. Individuals oftentimes identify with and conform to pre-existing social categories as they attempt to situate themselves and others into the external (outside of themselves) order of society. For example, U.S. census surveys and application form often require individuals to categorize themselves according to a pre-existing list of categories. 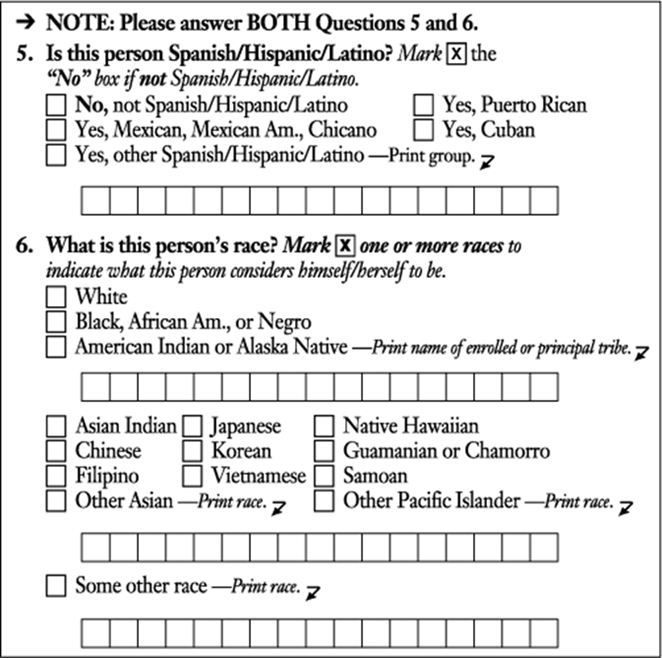 The census example below illustrated the discrete identity grouping constructed by the U.S. Census Bureau in 2007. Key questions underlying the construction of external identity categories such as the one above are: Who gets to decide on how social categories are created and what are the social, political and economic implications? This is important because external social categories are frequently structured hierarchically and are based on hegemonic ideas that assign specific meanings to each social category and its members. External identity categories are significant because the meanings associated with identity affects social relations by informing the way people interact with others and shaping how people expect to be treated. This section will address two aspects of identity, ethnicity and race, which are central to anthropology. 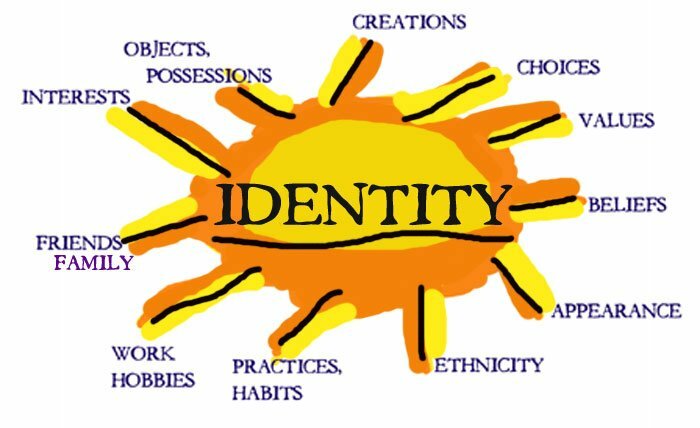 Ethnic identity refers to an identification with, and feeling part of, a group based on shared beliefs and practices that can include (but is not limited to) values, customs, norms, language, culture, religion, ancestry, history, etc. Language can be a part of ethnic identity. 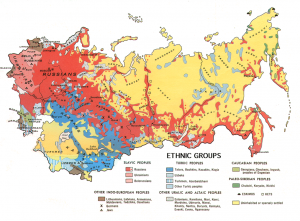 The social and historical processes that contribute to the emergence of an ethnic group is called ethnogenesis. For example, the mass enslavement and migration of African people through the ‘trade triangle’ resulted in a wide range of new ethnic groups throughout the Americas as people coming from various ethnic groups in Africa were consolidated, stripped of their identity, and relocated to new geographic and social circumstances. As the global flow (trans-Atlantic migration) articulated with a diverse array of localized circumstances, several new ethnic groups emerged throughout the Americas. Once we disaggregate ethnicity from race, we must then ask What is Race? This is an important, and sometimes contentious, topic within the field of anthropology. For the purposes of this course, we can consider race as an ethnic group that is assumed to have a biological basis. 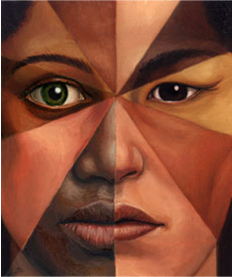 Racial categorizations integrate cultural habits and practices with inherited phenotypic, or physical, traits and characteristics such as skin color and other features (Scheafer 2008). What this means is that the idea of race is rooted in the assumption that there is a biological foundation for human difference and behavior. It is assumed because, as the documentary posted above explains, science has failed to produce conclusive evidence that links biology to culture difference or to develop an accepted framework for racial categories. There seems to be an unlimited number of racial categories in the scientific arena. Similarly, the ways that societies define organize racial categories also varies widely cross-culturally. In the later part of the 20th century, anthropologist began investigating the ways that racial categories are socially constructed in different ways according to different socio-historical circumstances. Marvin Harris was among the first to empirically investigate racial variability in different geographical contexts through comparative research in Latin America and the United States. Harris found that unlike American race systems which are primarily based on a binary ‘white’ and ‘other’, racial categories in Brazil were based on a wide range of cultural and phenotypic features that comprised more than a dozen racial categories (Harris 1980). He pointed out that Brazilian racial patterns reflected a different history and a different set of social relations than what was experienced in the United States. Harris explained that the development of the American racial system was largely based on a strict and rigid lineage system which reflected British principles of ancestry where social identity is based on descent. From this, he formulated the theory of hypodescent which is the practice of assigning children of a mixed union to the subordinate social group. In other words, if a child has one parent who is a member of a dominant group and another parent who is a member of the subordinate group, the child is automatically assigned to the subordinate group. During the time of Harris’s research, a child born from a ‘white’ parent and a ‘black’ parent assumed the identity of ‘black’, regardless of skin color, because that was the subordinate social group in the lineage. Similarly, if that child were to go on and produce another child with a member of the dominant ‘white’ group, the (grand) child would also assume membership to the subordinate (black) social group. The principles of hypodescent were codified during the early part of the 20th century. In 1922, for example, the state of Virginia passed the Racial Integrity Act which defined a ‘black person’ as a person with any known African ancestry. 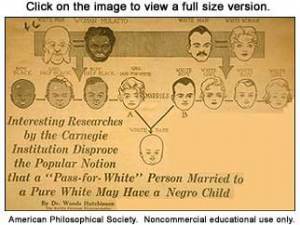 Several U.S. states codified similar policies and passed anti-miscegenation laws that forbid interracial marriages. These policies and practices are now known as the ‘one drop’ rule, which refers to the notion that one drop of non-European blood is socially unacceptable, and it is steeped in a rich history of slavery and racial segregation in the United States. Harris and other social scientists have pointed out that racial categories and practices based on hypodescent served to establish and maintain the dominance of the ‘white’ racial group during a time when the abolition of slavery stood to challenge white privilege and authority. Harris’s findings on racial categories in Brazil reflected a different history and social relations which were rooted in Spanish interaction with African civilizations, the legacy of the Moors in Spain, and miscegenation (‘race-mixing’). Racial categories were loosely based on physical characteristics and cultural habits. Although the children of a mixed union were not automatically assigned to the subordinate group, racial categories in Brazil were also hierarchical and privlegded Euro-centric traits and cultural practices (Harris 1980). Contemporary research on race has shown that racial categories are dynamic and fluid as people reorganize society according to changing circumstances and new situations. This BBC news clip, ‘Unaccustomed debate on race sparked in Brazil‘, addresses the ways that new circumstances are challenging race relations and categorizations. The cross-cultural comparison of different racial categories has shown that ‘race’ is a social construct, an invented idea that emerges out of a particular social system and is accepted as ‘natural’ by those who accept it. Although the idea is ‘invented’ the effects remain real. The meanings associated with racial categories are often rooted in popular stereotypes which are simplified generalizations about members of a social group. 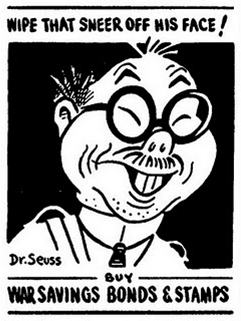 Stereotypes are generally rooted in popular essentialisms, which is the idea that traits and attributes are inherent to a particular group, regardless of context, and essentialisms are often used to justify social inequality and discrimination. Despite a wide range of contemporary research which shows there is no evidence to support a biological basis for racial categories nor is there genetic evidence to suggest that there is a general predisposition to a particular pattern of behavior within specific groups, many people still engage in racism which is the belief that there are different traits, either ‘positive’ or ‘negative’, that are inherent to human racial groups. Racism is learned and shared, and people often acquire racist ideas and beliefs from society during childhood when ideas are accepted and internalized before the development of critical thinking. Ignorance is the state of being ‘unaware’; this is when a person maintains certain ideas and beliefs because they have been untested and unchallenged. Bigotry however, is the irrational devotion and an emotional need to have a belief, idea or opinion that is independent of facts, observable evidence, or reason. Ignorance, bigotry, stereotypes and racism play a central role in social prejudice and discriminatory practices that characterize the hierarchical organization of racial and ethnic groups in the national arena. In the United States, the social organization of racial and ethnic groupings has become a highly controversial topic. Demographic changes in the U.S. population, resulting from immigration and other population factors, has necessitated the restructuring of social categories and organization. 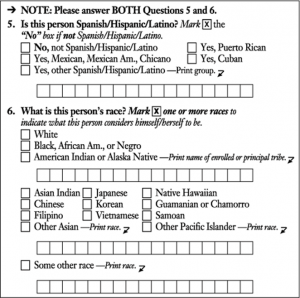 The 2000 U.S. Census required participants to answer questions regarding race and ethnicity. Despite the significant increase in ‘multi-racial’ affiliations, attempts to add “multiracial” as an category in government indices has been opposed by interest groups. This is because race and ethnicity are not only social units, they are also political units. Race and ethnicity are often intertwined with nationality which is an affiliation with a centrally organized political unit or government. Although national populations are generally ethnically heterogeneous, nationalities are often characterized as a group of people sharing a single language, religion, history, territory, ancestry, and kinship. 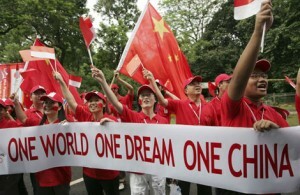 In many cases, the attributes associated with a particular nationality reflect the attributes of the dominant ethnic group within the nation-state. In his book, Imagined Communities (1983), Benedict Anderson describes nationality as a fictive category where social membership is based on a feeling or emotion known as nationalism which is a strong identification with members of the same nation-state. Nationalism is important to the nation-state because is allows members of a nation to feel connected even though they have never met. State governments often promote nationalism in order to ensure that national affiliations are primary to other affiliations based on religion, race, ethnicity, culture, etc. This ensures solidarity and alligance to the state. We will address the role of nationalism and ‘civil religion’ in the Religion section of the next module. Despite nationalistic campaigns on the part of governments and states, most national populations are ethnically heterogeneous and socially stratified. The ethnic map below illustrates the rich ethnic diversity that characterizes the population in the Russian nation-state. Within national boundaries, social groups are usually hierarchically organized. The majority group is the dominant, controlling social group. It is important note that the term ‘majority’, as it us used here, refers to the ratio power held by the social group not the ratio of the overall population. Similarly, the minority group is the subordinate group who has less power and less access to resources that the majority group. It is not unusual for the minority social group to represent the majority of the number of people in the population. This was the case in most colonial territories where a small number of European elites controlled and exploited the predominantly indigenous and enslaved population of people. A plural society is a society comprised of ethnic contrasts, ecological specialization, and the economic interdependence of groups, and multiculturalism is a perspective that views of ethnic and cultural diversity in a positive manner. This is the opposite of assimiliation which is when the minority group adopts the norms and values of the dominant group and ceases to exist as a separate social unit. Assimilation can occur as part of a process of cultural change, or it can be forced through a series of institutional laws and practices that aim to marginalize and discriminate against members of minority groups. Marginalization and alienation of minority groups takes place through a series of prejudiciary and discriminatory practices and policies. Prejudice is the devaluation of a group because of assumed behavior, values, capabilities, or attributes, and discrimination occurs through specific policies and practices that harm a group and its members. De facto discrimination is practiced within the society, but not legally sanctioned. An example of de facto discrimination is the automatic rejection of all applications submitted by people with Arabic-sounding names. 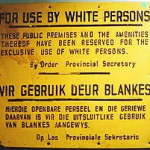 De jure discrimination is codified into law and institutional frameworks. 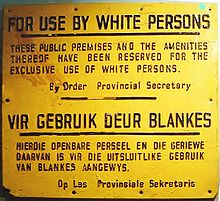 Examples of de jure discrimination include Jim Crow laws, Asian Exclusion Acts, and apartheid laws; all of which were designed to maintain racial segregation and protect white supremacy. Ethnic conflict has come to characterize the internal relations within a nation-state. One of the most well-known conflicts among Americans is the Israeli-Palestinian conflict. The video posted below was produced by an American Quaker organization. In addition to discriminatory and prejudice practices, the dominant majority may also seek to ‘homogenize’ the population by systematically eliminating minority groups. Genocide is the deliberate elimination of a social group through mass murder. The extermination of approximately six million European Jews by Nazi Germany during World War II is an example of genocide. Ethnocide is the destruction of an ethnic group’s culture. The destruction of Buddhist temples and the suppression of Buddhist practices by the Taliban in Afghanistan is an example of ethnocide. Ethnocide and genocide can occur at the same time. Ethnic Expulsion is the forced removal of a minority social group by the dominant majority. Displacement is forced migration as a result of political, military or other forms of conflict. Unlike immigrants, who are voluntarily displace, involuntarily displaced people are considered refugees. Long-term ethnic conflict in countries such as Myanmar have contributed to sizable refugee settlements and new tensions between displaced people and the previous occupants hosting refugee settlements. We can see from the information presented in this section that although race and ethnicity are socially created categories for self-identification, the realities and experiences that result from the ‘imagined communities’ generate real effects on the lives of people. In the next section we will explore the role of anthropologists in engaging in ‘race science’ to create racial groups and hierarchies as well as the social outcomes that emerged from racial models. Discussion – Hatred & Humor: Racism is often embedded in Jokes, Media, Language, Art, and other common cultural forms that occur in everyday society. Provide an example of this and explain the racist origins and how it has been or was incorporated into the daily lives of people who may or may not be aware that they are participating in racism. Be sure to use the terms and concepts introduced in this lesson.